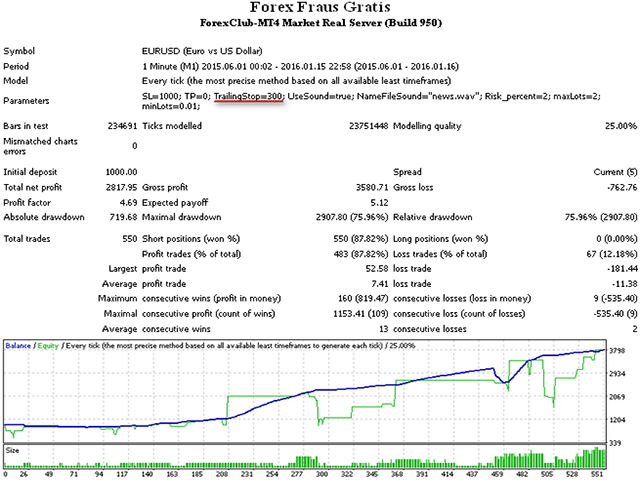 The Expert Advisor of the Forex Fraus family, the system is designed for scalping the EUR/USD pair on the M1 timeframe (for five digit quotes), and adapted for the accounts with fast execution of orders. Buys and sells by the signals of the Force Index indicator. When a signal is received the orders are opened by injection, using tick data. Built-in adjustable risk management block. 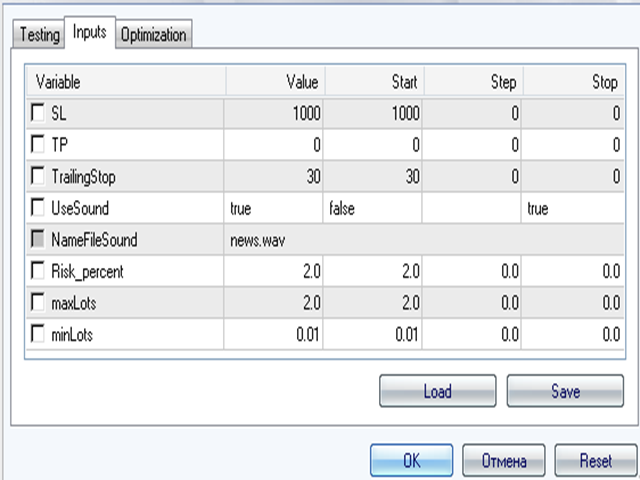 Depending on the balance it monitors the size of the executed order, distributing risks. In the MT4 platform go to Tools > History Center. Open the strategy tester and choose the time interval to start testing. Select Every Tick as the model. Very important: the EA does not work together with other Expert Advisors, as the operation algorithm gets interrupted. So make sure there are no Expert Advisors in other windows! 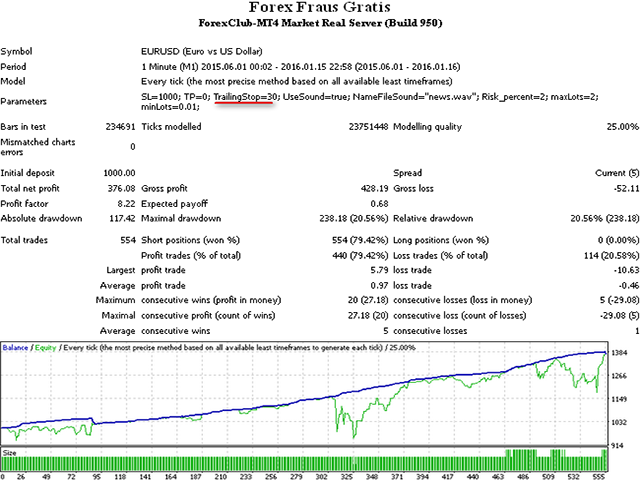 optimization note: All the default settings are designed for specifically the EUR/USD pair on the M1 timeframe. If you want to use the robot on other currency pairs, be sure to test in the tester before use. Consider the risks when adjusting the TrailingStop. Trading tip: The EA signals do not come often (this can be seen from the tester data), this should not be feared, many people might think that the EA stopped working, but it is not so (it can be silent for about a month), later it is compensated by an order injection once the signal arrives. Therefore, I recommend placing the robot on a virtual server, as the EA is recommended to trade 24/7. Still wait to see how it performs.